Index content and metadata from GSA-formatted XML feeds for easy migrations and less rework. 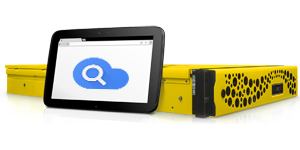 Integrate Oracle WebCenter Content with Google Cloud Search to easily find documents. Search CAD documents, WTParts, Promotion Requests and Change Objects from PTC Windchill. 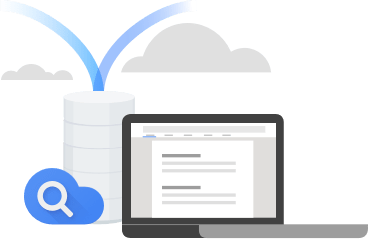 Fishbowl’s third-party 3P data source connectors for Google Cloud Search are available for Oracle WebCenter Content and PTC Windchill. Reuse custom GSA Feeds with Cloud Search. Fishbowl’s connector enables Cloud Search to index GSA-formatted XML feeds. Works with full, incremental, and metadata-and-url feed types. Simply send your feeds to the configured port and the connector will do the rest. Rich content and metadata indexing. The connector handles retrieval of URL-based content and decompression of base64 encoded content for indexing. Titles and metadata from HTML and PDF files are automatically extracted. Map feed metadata into Cloud Search structured data schemas. Complete. Robust. WebCenter Content indexing. Fishbowl’s connector indexes metadata and document full-text from Oracle WebCenter. It’s highly configurable giving you control over your search experience while harnessing Google relevancy. It looks like Google, but in WebCenter. A beautiful, built-in search interface is included with the connector. 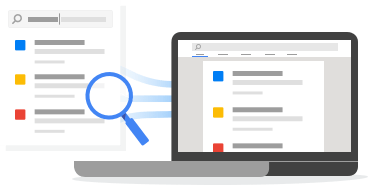 Embed the Google Cloud Search experience into WebCenter Content with user-favorites like filters, actions, and spelling suggestions. Complete indexing for PTC Windchill. 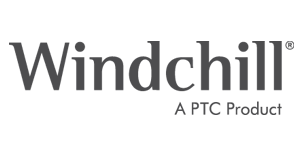 Index Windchill content and metadata, including documents, CAD files, WTParts, promotion requests, and change objects from ProjectLink and PartsLink. Intelligent content feeding. Intuitive content finding. PDF viewable. Native content. Dynamic HTML. 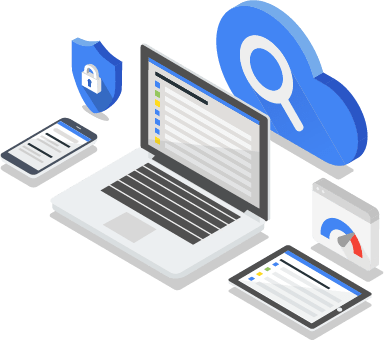 The connector always feeds the most relevant information to Cloud Search so you can easily find content when you need it.